You’re going to hear a lot less from me over the next few weeks. That’s because I’ve signed up to do something that I’ve wanted to do for a long time: write my first fiction chick-lit novel. It’s not going to be easy. And as much as I love writing and sharing with all of you, I now have to dedicate my spare time and creative power to ploughing out 1,500 words a day to just get that first draft done. It’s going to get there – I know it is. I already have the full story in my head. I just need to have the discipline to get it out onto paper. The week before last I worked remotely from the Facebook Seattle Office. (Yes, I work in Marketing for Internet.org by Facebook) One week away from the main office and in a new environment, I discovered the following (important) things. I must have more in my life than just kids and work. 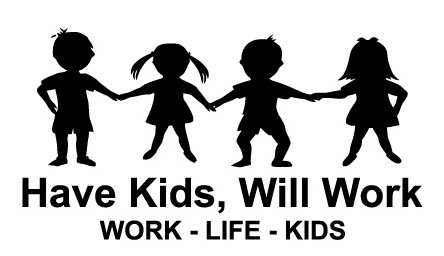 This is hard – I love my kids and I love my work. But I need to have more. In Seattle, I rarely worked after hours, and my in-laws were gracious enough to watch the kids so my husband and I could go out and celebrate his birthday. With a shorter commute, I spent more time at the gym, more time writing, and even managed to get a hair cut. I’m happier when my life is full – and for me a full life means more than just work and kids. A full life means that I won’t be tempted to work after hours. With all of our technological crutches it’s so easy to never stop working. But that remote week showed me how refreshing it was to actually do that. I didn’t check my phone for messages between six to nine most evenings. Once the kids were down, I relaxed with my husband and in-laws. I looked forward to helping to cook dinner. I looked forward to going home. In my life back home, sometimes I don’t look forward to going home because it means leaving work half-finished to shuttle screaming kids from daycare to home – and then rushing through dinners, baths and bedtime, all while wondering how to I finish up what I couldn’t get done at work. That week in Seattle, I just let the latter go. And you know what? Work was waiting for me each morning and nothing bad happened. I want to pursue a lifelong dream. I’ve wanted to be a writer for as long as I can remember. But for most of my life I’ve been scared to try. Time away from my normal “rush-rush” environment gave me a chance to think. This is my chance to pursue my dream and write a book, and maybe one day – become a full-time writer. It’s hard because financially I need to do it while working full-time in another job that I also love, but if I don’t do it now, I will never do it. And then I may really be full of regret. So here I am, writing the first of many novels (hopefully). But that does mean you’ll hear from me a lot less this next month. ‹ Sort of a silly one…. Good luck. It is my first year of NaNoWriMo and, like you, partly in the spirt of creating a full life outside of work. Here’s to the first of our many novels!